PEACHTREE CITY, Ga. – Today’s rain is predicted to turn to snow later evening as temperatures are expected to drop quickly with an approaching cold front. As a result, the National Weather Service in Peachtree City, Georgia, has issued a special weather statement for north Georgia and the surrounding region. averaging only a dusting to a couple tenths of an inch. overnight hours with the rapid temperature drop expected. Friday evening through Saturday morning. 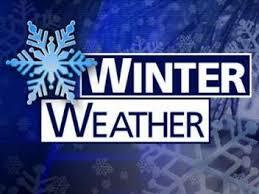 Please continue to follow FetchYourNews for updated coverage of this impending winter storm.